Let’s be honest, bi-weekly facials, peels, microdermabrasions and aggressive anti-aging skincare regimens will only get us so far in achieving the skin of our dreams. Between travel, raising a family and having a career often it’s our skin that pays the price. Sometimes we just lose that glow no matter how faithfully we follow our regimens. What if we told you there’s a new laser in town that provides each patient with customized treatments? It reverses the signs of premature aging skin caused by sun exposure, treats adult acne and hyperpigmentation caused by prescription drugs, and improves other skin issues like enlarged pores and wrinkles. HALO by Sciton is the world’s first and only hybrid fractional laser. It applies tunable non- ablative and ablative wavelengths in a single pass to maximize results and reduce downtime you can reverse the signs of aging skin in as little as 5 days after treatment. We had the pleasure of speaking with Dr. Mosser of Azala Medical Aesthetics. Read further to learn more about HALO by Sciton and why it’s the best laser in the city. Anita Rivas: Why did you decide to add HALO to your practice? Dr.Mosser: I personally looked at the two dozen most advanced lasers in the country and interviewed representatives from each of the major companies. My goal was to find the most advanced technology to give the greatest amount of “wow” result with the most safety and least downtime. Among all of the lasers that have been created, this is the one that delivers best results while ensuring a predictable amount of manageable downtime. AR: How is HALO different from other lasers? Dr.M: It sounds simple but it requires a huge amount of advanced technology to get a great result with a minimal recovery. HALO is actually two different lasers that are activated at the exact same moment. One laser creates the changes in the tissue and the other laser actually creates hundreds to thousands of microscopic band-aids out of one’s own skin to make healing much more rapid. Every laser spot from the first laser gets one of these tiny coverings from the second laser. AR: What makes HALO your laser of choice? that, with results that are good enough for patients to get lots of unsolicited compliments from their friends. AR: Who is the ideal HALO candidate? Dr.M: Unlike other lasers, HALO can be safely used on a huge range of patients with different skin types and pigmentation levels. Anyone with even the earliest signs of sun damage, such as small fine lines, will benefit. I would say that the ideal HALO candidate is a patient who is seeing early, moderate or significant levels of skin aging who wants to see real results and is ok with a 5-day start to finish period of social downtime. AR: What do your patients like about HALO? Dr.M: It’s funny because we get all nerdy about this technology because it is so advanced and powerful. My team and I sing the praises of “two lasers!” and “5 days downtime” because it’s so exciting in this industry. But at the end of the day what our patients are telling us is that they love the compliments they’re getting from the people in their lives. When a number of people tell you that you’re glowing and have never looked so youthful, it’s wonderful to hear and it’s the most powerful thing around. They also love that you can apply makeup as soon as the next day! It’s advised to use hydroquinone pre-treatment but I used Lumixyl by EnvyMedical. Why? 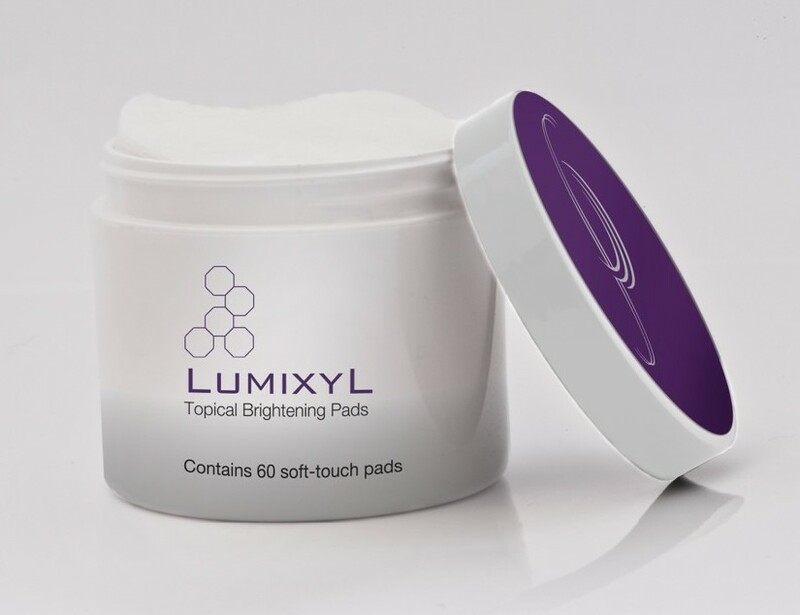 Because Lumixyl promotes healthy skin and restrains tyrosinase, the enzyme responsible for causing the overproduction of melanin, which is the main reason for uneven pigmentation and dark spots. Getting on a Lumixyl regimen before any laser service aids the skin in reaping the benefits of amazing results pre and after post treatment, especially with HALO. Ive been on the Lumixyl regimen since my HALO service and my skin has never looked healthier. Isn’t it time you reversed the signs of premature aging skin? By the way, there are various Dos & Donts Your Dr. will give you instructions before and after treatment.